019Dx: Troubled Land: Pakistan/Iraq: Peter Tobia, photographer, photojournalist. 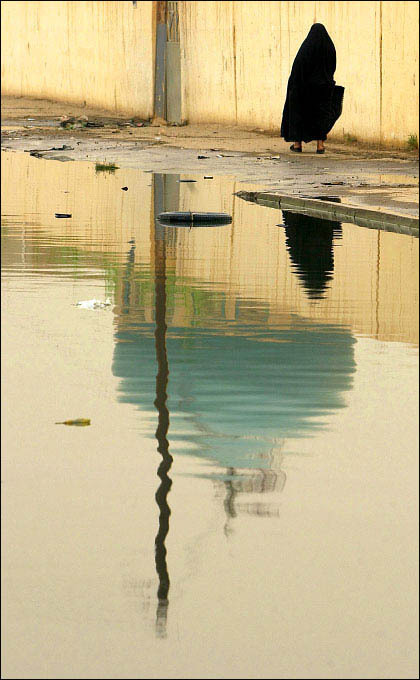 The dome of a local mosque is reflected in backed up sewage on the streets of Baghdad. Drinking water is unsafe due to treatment plants that are not in operation because they have been looted and destroyed.